He is the one of praiseworthy station, known in the celestial realm as Ahmad - the one who is praised, the Periklytos (Advocate, Helper), about whom Jesus Christ mentioned of the Paraclete's (Solicitor, Intercessor, Comforter, Advocate ) advent after Christ's return to the Lord. That Intercessor is Our Master Muhammad who will intercede on the Day of Judgment. 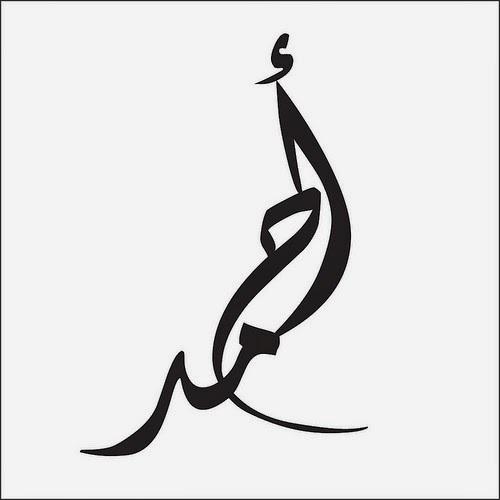 Sayydina wa Habibina wa Shafayina Muhammad - Our Master, Our Beloved and Our Intercessor O Muhammad Mustafa, the Beloved of Allah. Our Master Muhammad is the Seal of the Prophets and after whom no other new Prophet are to come except the second coming of Christ. Through the holy heart of Muhammad, the Last Divine Message as Qur'an is revealed to the mankind and final code and guidance delivered which is to remain pristine until the end of the world. Qur'an is the Final Testament of Truth, the Final Direct Divine Revelation sent not only to any tribes or groups but to all of mankind. It is the complete code for a just, peaceful, ethical, divine centered society for mankind. 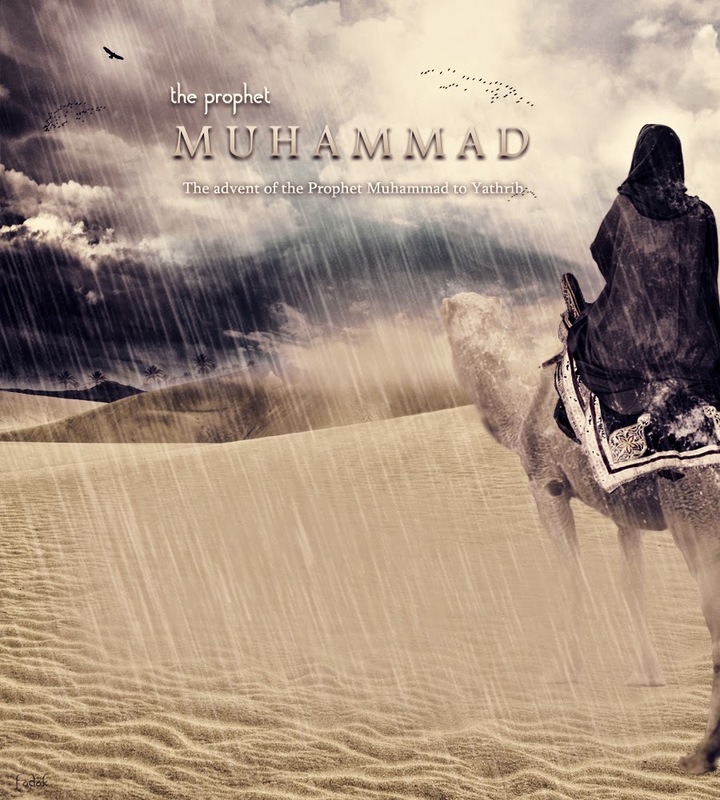 It is Our Master Muhammad who is the kingly Prophet promised in the Old Testament who will execute both the roles as priest (Imam) and law giver as well as administrator or ruler. 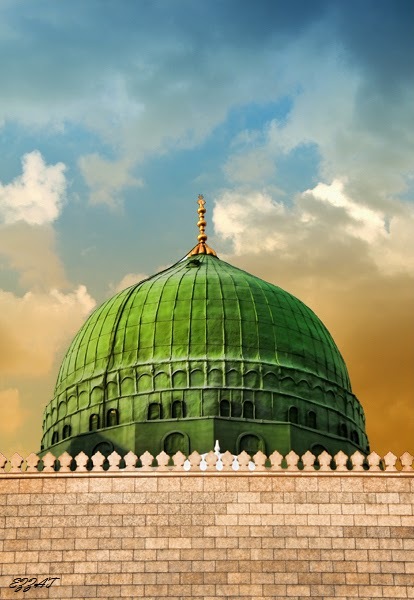 Sayydina wa Habibina wa Shafayina Muhammad, sallalahu alayhi wa sallam. I ask where did the true spirit of religion go? Religion has been reduced into lip service and an excuse for spiritual / religious arrogance / self-righteousness. Every day five times from minerate of every Mosque the caller to prayer will call that "I Bear Witness there is One God and Muahmmad is God's Messenger." Question has to be asked, are we true to that statement? Are we true to the heavy truth and responsibility that comes with this witnessing that Muhammad is God's Messenger. Let alone non-Muslims but even Muslims don't realize what it calls for, what minimum they aught to observer even in their heart when they bear witness that Muhammad is Allah's Messenger. 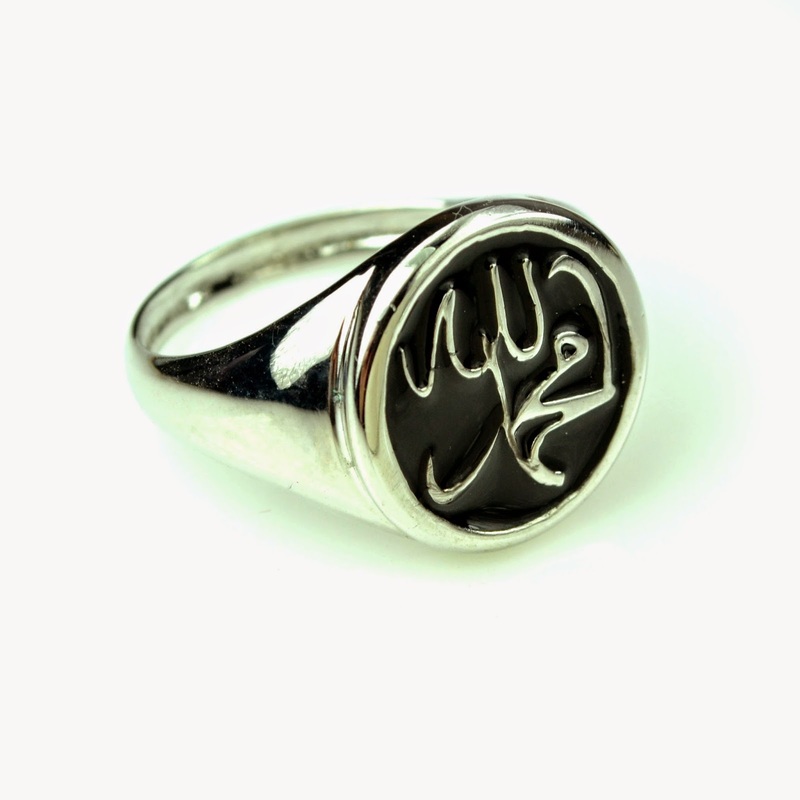 We say "Muhammad is Rasul of Allah", we acknowledge that Muhammad conveyed and transmitted the Risala or Message. Now what message was that? What did this message commanded us to do? It said, to accept Allah, One God as Lord and accepting Lord means accepting His Commands (Hukum), His Laws, His Code of Ethics, His Guidance. On top of that we pray everyday that may we be guided to the Path (Sirat al-Mustaqim) and yet our behavior and action is so anti-thesis of that. Have we not betrayed our Rasul by throwing the Book of Allah at our back, by rejecting the Guidance and accepting the Laws of Man such as British Law, French Law and so on and so forth. Did we not purchase misguidance while throwing away the Furqan? Has not the Muslim become the new Bani Israel who again and again betrayed, broke covenant and rejected Guidance? Allah said again and again that you are commanded to do only one thing, that is to take God as your Lord, and no other. Now Lordship demand that we follow His Command in totality and anything short means we are walking towards associating His Lordship by something, someone else, primarily with misguided men who follow their own desire and whims. But we so badly forgot that we follow godless profit driven, oppressive systems when it comes to legality, economics, monetary system, social justice and you name it. We were told to follow what the Messenger brought us and we were given the Quran as the basis of the basis of our constitution. But have we not betrayed both Allah and His Messenger by rejecting it. Not a single country except perhaps Iran has Quranic principals as guidance. Instead we have godless systems where we are outrightly disobeying God and His Messenger. God said oppression is forbidden, but our monetary system is designed in such a way that the value of money reduce everyday. Its debt based system which itself is forbidden by God. Yet we allow this and the gap between rich and poor grows infinitely forever. Allah and His Messenger said, Interest (Usury / Riba) is prohibited, our godless system says its acceptable. Our godless society and all its monetary system, creation of money out of thin air and debt based borrowing - all are dealing with Usury which is the single most toxic cause of human suffering in massive scale. Allah and His Messenger said, none can be killed without justification such as case of murder, and our godless system mass murder people and continue to fund billions of dollars into manufacturing weapons, use massive amount of resources to sustain military while its population starves, are homeless, education is made extremely expensive. Allah and His Messenger said, we must live a life of ethical conduct, uphold family values and we must love each other. The godless society says there is no place of ethics, family has no place. Allah and His Messenger said, every single human being is free, we are only servant of God, not servant of anything less. All our godless society wants us to enslave us economically, intellectually and in every other means. Because of oppressive monetary system, every single human being is now converted into a slave of the system where every human being has to work much longer, get much less time for themselves and their family and organic relationship with blood relatives and loved one are destroyed because of this artificial crisis of time due to the toxic nature of our engagement with time. Allah and His Messenger said live simply, humbly and do not squander your wealth. But godless society is designed upon waste, materialistic over consumerism. Allah and His Messenger said do not cause corruption, pollution on earth and consume moderately and share more. Godless society corrupts in every way, gang rapes earth, its natural resources including water in massively disproportionate rate, hides its reality, poisons food, water and air. Allah and His Messenger prohibited to accept as guardian (Wali) those who deny God, who deny Ultimate Accountability (Akhirah) and yet in our ignorance we have accepted these godless people who are run by their satanic impulses and beastly drive who knows nothing but profit, materialism and consumerism. It is them who run the show in the UN, World Bank, IMF and we follow like cattle and have them made into our guardian. It is their laws which govern our society, create endless suffering and oppression and bring havoc to life of ordinary people. Allah and His Messenger asked us to follow the Qur'an and accept its guidance and yet we rejected it outright, reduced it into religious entertainment and show-business where as we have given free ticket to godless principles in various disguises that have no ethics, no divine principals as its core. Allah and His Messenger prohibited unjust war, any form of aggression, prohibited the killing of innocents even in war situation, and yet in godless world satanic ritual sacrifice of innocent victims continue. Allah and His Messenger prohibited injustice in any form, but in godless society we see the exact opposite. From our tax system to education to everything else we see massive injustice. Those who have money are given free pass to own all, be all and value of human beings are measured with money where as if someone don't have money they are treated as cockroaches even in the most affluent society in the world. Is our legal system modeled after British and European godless model just? Does our legal system modeled after British and European godless model deliver justice or does it do everything it can to ensure that those who have money run the show, get all whereas the poor are ripped off, hardly get any justice and often are victims? All of the above and much more - all those issues of the world are already explained and given solution in the Quran and in the Way of the Messenger. The Quran calls itself as a Book that explains everything and it does. Human society may claim to have become so called modern but our base drive for profit, consumptions, greed and many other shadows actually never changes. Thus Quran should not be viewed as a Text that is 1400 years old, but should be analyzed as a living, breathing Divine Code that has solution for all human phenomena including inheritance law, social law, marriage law, human ethics necessary for peaceful coexistence of people etc. SO WE ASK AGAIN? DO WE REALLY BEAR WITNESS? Does our action reflect what we say? The answer is massively NO. It is we human beings who have rejected, killed, crucified our Messengers and Prophets when they came and spoke of love, justice, peace. It is we human being who have called our Messengers and Authentic Prophets as liars, poets, magician and rejected them outright. Have we changed to anything better? We are given the direct communication, we are warned that this is from God and never to associate anything with God by way of replacing God's commandment and law, by covering up truth and yet again and again like our past generations we have rejected and betrayed the Message. So we dont really bear witnesss that Muhammad is the Divine Messenger. At best we are hypocrites and arrogantly ignorant who have no idea what it means. We have no idea who the Messenger was, what is His Message and how we have complete rejected every single aspect of his teachings. 12th Rabiul Awwal is commemorated mostly as the birth of the Messenger and also the day when he returned to his Lord. It is celebrated around the world. Some do not celebrate also on the argument that it may become another Christmas. But thats not the real point. The real point is whether we qualify as his Ummah? If we have outrightly rejected his message, his vision, his ideals, his teachings, his guidance, his ways - then by what right can we claim to be his followers and moreover by what right can we expect that he will make intercession for us on the Day of Standing? In fact in Islamic tradition it is said that there will be people who will pass by in front of the Messenger at the Fountain of Kawthar where he will distribute drinks to his followers, and he will recognize them as his followers by some outward sign, but those people will be dragged away from him and it will be informed that these people betrayed him while claiming to be his followers. Unfortunately we have been betraying our Messenger for many hundreds of years now. We have embraced godless society, its tricks, have take Satan as our master where we hypocritically claim to be his followers. So our qualification is the qualification of munafiqs, don't you think? The blessed Messenger informed us that when we see something evil, bad, unjust, we must protest by our hand, that is try to engage directly to stop it. If that is not possible then we must speak out, engage with our voice. If that is even not possible then lastly we must know that it is evil and repel it by our heart, that is engage with our heart. That is the weakest of faith, the sign of least faith. Now we have arrived at such a crisis point that we don't even qualify for the least of faith. Our ignorance has enveloped us to such an extent that we do not realize that we have made halal into haram (eg. gold and silver to be currency) or we have made haram into halal (usury, interest, riba) and there are many many examples of such. Even within Muslim society we are perfectly comfortable with evil because we have outright rejected the Divine Commandment to guard against Evil and to take Satan as our archenemy. But in our godless society it is the Satan that rules from the top of every international organization, be it UN, IMF, WorldBank and you name it. It is their Satanic policy that claims itself to be Supreme where as we know that it is Allah who is Supreme. It is man made law that is gets written and become supreme, it is man made constitutions that replace divine constitution and act as supreme. This is outright blasphemy and betrayal of the Message as well as the Messenger. There is only one teaching in this Mawlid, that is to realize first our massive betrayal of the Message and Messenger and then to repent. To repel from our heart what is evil, almost all the mechanism of the godless so called secular world that replace love with lust, value with money, trade with usury. Unless we recognize what is evil, we will be continuously led to the slaughter house like cattles and we will follow as one who has ears but can not hear, has eyes but can not see and hearts but can not perceive. No matter how many Salawat we send upon the Prophet, while we betray him, it means nothing. No matter how much we try to read his zahir life, while we reject his message, it means nothing. So with sadness in our heart we pray that may Allah help us look, see, understand and repent our massive deficiency which led us to betray our Prophet. May Allah help us to understand who the Prophet was and what was his ways. With sadness with our heart, we can not celebrate Mawlid except by first understanding that we are still not worthy to be his Ummah, at least not with our present condition of heart and mind that knows not the difference between forces of darkness (tagut) and divine light (nur), between misguidance and guidance, between following the satan and obeying God. O Allah we ask your forgiveness and we invoke your blessings upon our Master, may we truly follow him and make him our Master, may divine benediction and peace be upon his noble Soul. As Salatu as Salamu Alaikum Ya Rahmatallil Alameen. We send Divine greetings of Peace to You O Grace of all that is. Mawlid, how can we celebrate it when we have betrayed our Messenger left right and center?